Welcome to my blog about my adventures in the writing world. I have embarked on the long road to try to have my novel(s) published. Here I will share some of my thoughts and things I learn along the way. 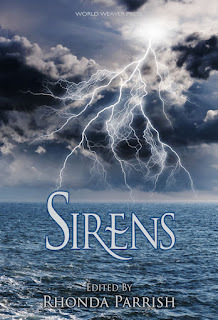 This week I welcome Tabitha Lord who is featured in the Sirens anthology that came out this week. 1. I didn’t draft my first novel until after turning forty. Although I’ve been writing for as long as I can remember, I never really considered myself a storyteller. I didn’t think I had the imagination to turn the snippet of an idea into an entire book, or even into a short story. But once I committed to the practice of writing every day, my imagination began to flow. Weaving the threads of a tale into the tapestry of a novel became a satisfying, exciting endeavor. Now I have so many characters and stories floating in my head that I have to tell them to wait their turn! 2. I enjoy writing short stories. My “big” books can take me over a year to draft and just as long to edit. With a short story, there’s still a sense of completion, of an idea fully expressed, but it may only take a month to get that idea down on paper. Another reason I enjoy writing shorts is that I can play around with different voices. If I’m working on a longer draft in the third person, I can write a short in the first person and really tighten up the point of view. Similar to working with different voices, I can try out different styles in my short fiction. “Homecoming” - my Siren story, is written in a much more literary style than my science fiction series. I’m not sure I’d be able to sustain that for an entire full-length novel, but it really made me stretch as a writer. 3. I was a Classics major in college, so the idea behind “Homecoming” has been with me for years. Intrigued by Penelope, Odysseus’s wife, I always imagined the possibilities for her story beyond what we’re offered in the Odyssey. 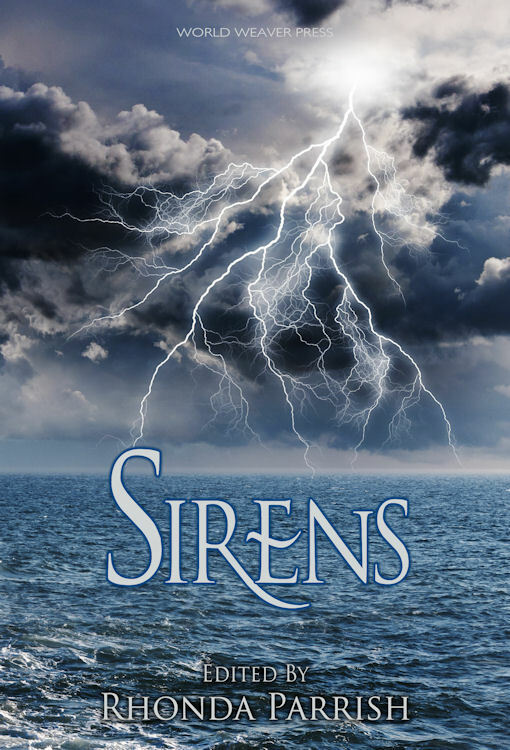 When World Weaver Press announced the continuation of their magical menageries series with an anthology titled Sirens, I was intrigued. After all, it was the famous Siren, Kalypso, who lured Odysseus away from Penelope for over seven years. Maybe there was a story here about both women? 4. Being an avid reader makes me a better writer. I love genre fiction and my shelves are filled with everything from horror, to military thrillers, to historical romance. I also appreciate good literary fiction with characters I remember long after I turn the last page. I just enjoy a good story, no matter the genre or style, and I own more books than I could possibly read in my lifetime. In fact, I had to turn my dining room into a library to fit them all. I enjoy making piles of books, sorted into various categories, and hovering over them like a dragon with her treasure. 5. I think the most difficult part of the writer’s life is finding long, uninterrupted hours to work. For me to have a productive creative writing session – working on new material, not editing – I need a minimum of two uninterrupted hours, and four is preferable. This is not so easy with four kids! She believes she is in love, but it is an obsessive, savage love. She feels the madness of it lurking within her—it infiltrates the crevices of her mind, seeps between her thoughts, and weaves its tendrils around her heart. And then she feels something different. Something altogether foreign. There is an urge, a tenacious whisper, compelling her into the sea. She fights the burn of it, shrugging it off like a cloak weighing too heavily in the hot sun. I have written in many forms all my life: fiction, news, articles. Writing has been a passion for as long as I can remember. My stories tend towards the darker side, I don't always believe in happen endings.